Differs from the Cape White-eye by having a very obvious peachy buff wash across the sides of the breast and flanks that contrasts with yellow throat and vent. 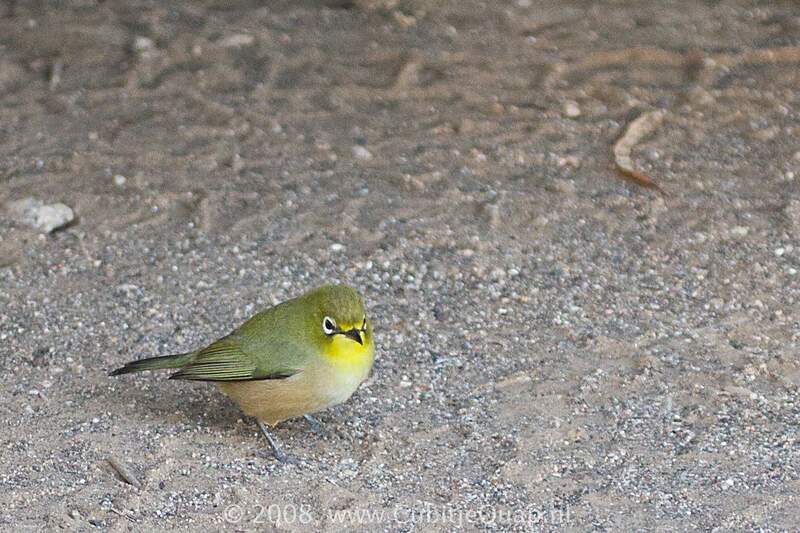 Range does not overlap with that of African Yellow White-eye. Arid to semi-arid scrub, dry riverbeds and riverine woodland and reed beds. Higher pitched and more trilling than Cape White-eye.